Mouse anti Dog IgE antibody, clone E6-2A1 recognises canine IgE. E6-2A1 does not cross react with dog IgM, IgA, IgG1 or IgG2. Western blot analysis against affinity purified dog IgE using Mouse anti Dog IgE clone E6-2A1 demonstrates a single major band of ~62-65 kDa under reducing conditions.  The antibody may be used as a capture antibody in a sandwich ELISA in combination with MCA1896B as the detection antibody. Lin, T.Y. et al. (2006) Generation and characterization of bone marrow-derived cultured canine mast cells. Vet Immunol Immunopathol. 113 (1-2): 37-52. Lin, T.Y. & London, C.A. (2006) A functional comparison of canine and murine bone marrow derived cultured mast cells. Vet Immunol Immunopathol. 114 (3-4): 320-34.